A student librarian with a family who likes to keep an eye on cyberspace and the specialised writing and journalism happening there. As reported here and there. Evelyn Juers, one half of Giramondo Publishing and independent scholar and author, has been keeping me posted on this absorbing struggle. Having had struggles of my own at granular level here, patiently bashing out a community based program for my son with financial and moral support only, (heck, we take what we can and run with it, don't we?) I neglected to send out her media statement a while back. She did faithfully send through links on the battle, which I tweeted, including one to a petition which eventually gathered almost 10,000 signatures. And two some days ago, the exciting news appeared in the Sydney Morning Herald that the wishes of Australian scholars would be respected and their space inside this iconic study room extended and soundproofed, without diminution of the visual and practical support they usually enjoy there. 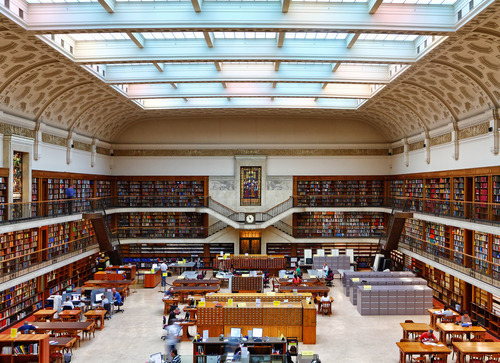 Service enhancements and improvements to the Mitchell Reading Room include a glass wall, extended study space for scholars and the maintenance of access to special collections, though the future of specialist librarians in these areas remains uncertain. Books previously removed (and even a card catalogue) will be returned to the reading room. Glass walls. Serious Strong stuff. Sending a powerful message to beancounters in beautiful libraries everywhere - Scholars Matter. 2. As the narrator of The Swan Book might say - "WELL!" I've already quietly filed away a personal post on the illnesses of other family members this year, in the drafts section, as this has never really been that kind of a blog. However, it is true that people close to me have been very sick this year, and will be for some time. But on top of that, I am going to be having a strange life for the next couple of months. I threw a tantrum with unexpected rewards attached last week, after hearing my son's behaviour in care had deteriorated to new lows, not previously recorded. As I said to the manager over the phone, "if they haven't told me about this, then what else is going on that I haven't heard about?" Oh. My. Goodness. So bear with me because this site will be on hold for quite some time while I get that all sorted. Lisa Dempster, director of the 2013 Melbourne Writers Festival, for an expansive and exciting programme. I thoroughly enjoyed the London Review of Books sessions I attended, as well as taking in a thought provoking session with music writer Simon Reynolds. And I could have gone to plenty more...!!!! The Sydney Review of Books - subscribe to their newsletter now, if you haven't already. Between the freebies at LARB, LRB and SRB (as well as the Literary Saloon at the Complete Review) you will have a lot of things covered book review -wise. Alexis Wright and Giramondo, for another stellar outing with The Swan Book - I have mentioned this briefly in a post I've written for Readmill, the ebook app. The ABR review carries more information than I can put down right now and you can find it here. And something to look forward to, and buy: new books from Richard Flanagan and Thomas Pynchon. Finally, someone I began my blogging days reading has started posting again. This is always a good thing. Welcome back, Dervala Hanley. Don't be good while I'm away, HAVE FUN. I will work hard, and I will have fun and think of you all. And yes, I will keep scrapbooking at the little place, because it's faster. Faster is my son's favourite word. Say no more. Launch by Cassandra Atherton – poet, novelist, critic and academic. 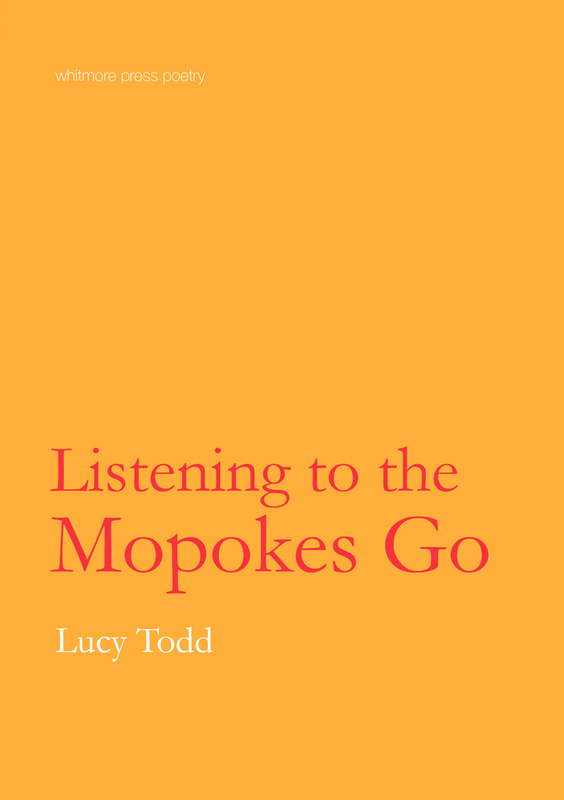 Lucy was the winner of the 2012 Whitmore Press Manuscript Prize. All welcome. 4. "the lights begin to twinkle from the rocks..."
Tweetping offers visualisation of global Twitter usage in real time. Make sure you have a look next time you're awake in the dead of the night. The world is twittering away while we (do not) sleep. Now if I wanted to attend Texts In The City at the Wheeler Centre, as a Books 101 kind of thing, I guess I would. And usually I don't want to. But even without viewing them, and given that these sessions would be pitched to Year 12 students, I still think it's timely to recommend Alison Croggon talking about Wuthering Heights, and Josephine Rowe discussing Ray Carver's stories. A seed library, in Ohio. (No returns, obviously.) Via the Melville House blog. Also from Melville House, here is a fine slide show of some old New York bookshops. The first Scribner's was astonishing, was it not? This compelling eulogy by Joanna Murray-Smith for her mother Nita was published on the Overland website in early July. At Cordite, Geoff Page reviews Chris Wallace-Crabbe's New and Selected Poems. Expanding the canon after death doesn't just happen in writing. Scholars and performers have revived some sonatas Beethoven wrote when he was 12, and 20, and added them to the 'iconic' 32. What this achieves, I do not like to guess. Beckett and Bushmiller were born within nine months of each other (Bushmiller in 1905, Beckett in 1906) but their material circumstances couldn’t have been more different at the time these letters were written. Bushmiller was at the top of his profession. He had been a successful syndicated cartoonist for almost thirty years by 1952. Nancy appeared in about 500 US papers and appeared in translation in many others worldwide. Circulation of the strip was therefore somewhere around 40 million people. Beckett, it is assumed, read Nancy in English in the Paris-based international edition of the New York Herald Tribune. By 1952, Beckett had published a study of Proust, a collection of short stories, a volume of poems, one novel in English and two in French. Although the French novels Molloy and Malone Dies were beginning to receive attention from the Paris literati, none of the books had sold much. Beckett eked out a living as a translator of Mexican poetry. No play of his had yet been produced, although Waiting for Godot would receive its world premiere in January of 1953. Significantly, it is then that Beckett’s correspondence with Bushmiller breaks off. City Lights Books has been around for 60 years. Party On!! Jeannette Winterson will get a shot at a cover version of The Winter's Tale. And Anne Tyler will follow up with her rendition of The Taming Of The Shrew. I’m not the sort of person who wishes things had stayed as they were. I like Tumblr and Twitter, etc., etc., and I’m interested to see what comes next. But I do feel a little wistful from time to time for the newness of the experience of typing some stream-of-consciousness thing like this — which is not at all what I was expecting to write when I opened up WordPress — and setting it loose into the world. -Maud Newton, on what happens after blogging. At Cordite, Jacinta Le Plastrier rereads Ariel. Here, Ron Silliman links to a few recordings of Sylvia reading from it. And it's GOODBYE GOOGLE READER. I am writing this links post with the help of the nifty Newsblur, which allows me to save stories in the reader. Pretty damn fine feature. I decided it was nice enough to pay a little money to use Newsblur properly, and so far they are managing just fine with all the refugees from Google. 'Kushner's gifts as a poet war with the more practical intentions of the novelist – like perfectly rendered pearls in a life-size portrait, her specificity draws the eye too close and muddles the focus on the whole. Talitha Stevenson has not enjoyed Rachel Kushner's new book. Unlike James Wood, and a host of other fans. Well, well. We shall see. I have The Flamethrowers to read (and encouraged another potential reader at the point of sale! doesn't happen to me often!) and I'm not going to be put off that easily. The bulk of the correspondence in this collection concerns Calvino's tireless work on behalf of Einaudi and his struggle to succeed as a writer in post-fascist Italy. Along the way are letters sent to fellow Italian writers (Alberto Moravia, Natalia Ginzburg, Elsa Morante) in support of abortion and workers rights, as well as bulletins dispatched from 50s New York and Communist Cuba (where Calvino met Che Guevara). The correspondence is distinguished by its sly philosophic humour and mandarin diversity of interests, ranging from the chivalric romances of Charlemagne to French structuralist theory. Above all, the letters illuminate the politics of book publishing in Italy after the overthrow of Mussolini. Calvino's first novel, The Path to the Nest of Spiders (1947), was born directly out of his experience as a partisan during Italy's anti-fascist resistance. It was influenced by Ernest Hemingway and Italy's "news-reel" school of realism, which aimed for an unpolished immediacy of the street. Hemingway served as an antidote to fascist rhetoric and obfuscation. Yet Calvino's writing was already marked by a fabulous gothic undertow, with allusions to medieval artists such as Hieronymus Bosch and Albrecht Atldorfer. In his letters, he styles himself both "the fabulist Calvino" and "the realist Calvino": which was the real one? The novelist and poet Cesare Pavese, Einaudi's managing editor, was among the first to detect the virtuoso fable-maker in Calvino. The 24-year-old was a "squirrel with a quill", Pavese said, whose fiction read like a "folk tale from the forests". I need to tell a little story about the pictures in this blog's header, particularly the one on the right. When I first selected it from a collection of pins on Pinterest marked "Libraries", I did not realise that each pinned picture in the collection corresponded to a whole article on the library in the picture. Talking to someone the other day about this, I went back to my note in the sidebar to check where both shots came from and clicked right through to a brilliant article at Dezeen, an architecture and design blog now in its seventh year. The article carries several more shots of the Liyuan library, designed by Li Xiadong. It was like opening a door. It is rather stunning. The whole library is covered on the outside with firewood, so that it blends in with the nearby village. Read more at Dezeen: there's also a newer article on this library. Then, enjoy clicking through all their pins on Pinterest devoted to libraries to read other articles, or follow their library tag for some very attractive bookish spaces. Last weekend was a great one for reading about Australian writing, with the launch of two new e-publications. The University of Western Sydney is supporting the brand spanking new Sydney Review of Books, which launched with several articles on Friday. There will be fresh reading every week for the next two months of this pilot project headed up by critic and editor James Ley, so get along there. First postings include critical essays and reviews by Kate Middleton, Evelyn Juers, Kerryn Goldsworthy, Peter Pierce, Mo Yan and Nicholas Jose, as well as a call to arms for a watch on criticism by Ben Etherington. Charlotte Wood, author and essayist, has begun a series of interviews available by subscription, The Writer's Room Interviews. You can sign up for them here, at an annual cost of $27.50 for six issues. The first interview was with Tasmanian writer and Patrick White prizewinner Amanda Lohrey, and I found it completely absorbing, probably because I love her work. There were two things from the interview, among many, that struck me. CW: A painter friend of mine says people think they don’t know what good art is, but that in every show he’s ever had, the best pictures sell first. You don’t understand it,but you know it. AL: You do know it. It’s instinctive. But at the same time I think that’s more true of the visual arts than of literature. For it’s also true with fiction that there is no single standard of excellence. A book is a meeting of subjectivities and the subjectivity of one writer will speak to one reader but not to another. There are some writers who don’t speak to me at all but I can see why they speak to other readers, can see that they are in the same zone in terms of their preoccupations, and their conditioning, what’s important to them. It’s just not important to me and I’m not interested. So I don’t mean to say — I’m not trying to posit an idea of excellence that everybody responds to. I think literature is very much a one-to one conversation, which is why I cannot argue with someone who says The Alchemist is their favourite book when they’ve obviously got a lot out of it. I’ve always been interested in exploratory and inventive modes of realism, not for their own sake but because each new project demands its own aesthetic. I could get very technical on the subject but this is probably not the time or place. I would say, however, that one of the important functions of university writing courses is to encourage students to interrogate taken-for-granted modes of representation. If you decide to write in a conventional way, at least know why you’ve made that decision. Traditionally, film-makers have been much more concerned with issues of representation and more innovative. And to be fair, the camera gives them more scope, but that doesn’t mean that we as writers shouldn’t think about it. You don’t have to be obviously ‘experimental’, you don’t have to write like Gertrude Stein or James Joyce — small unorthodox manoeuvres can have potent effects. Small and unorthodox. I like the sound of that. I've been so busy reading these two publications that I did not have time to blog about them at the time. Which speaks for itself. Go, enjoy, be enlightened or enraged, as you will. Acclaimed author, Sean Williams, will be joined by artists Thom Buchanan and Fee Plumley and writer Jennifer Mills for a week-long residency at the Appleton Institute, Central Queensland University’s Adelaide-based sleep research centre. Isolated from contact with the outside world, The Subjects will experience severely disrupted sleep patterns, loss of subjective control and constant surveillance. Each day – or is it night? – they will produce creative accounts of their experience. These will be posted to the project blog, enabling those of us on the outside to respond directly with comments and questions. As the residency progresses we expect The Subjects’ to become increasingly stressed by their privations. Will they go mad – quietly or otherwise? Will they lose their creative mojo? Will they find new ways of expressing themselves, personally and creatively? You be the judge. The Subjects and The Scientist (that's Professor Drew Dawson) will also be participating in a special panel discussion for Adelaide Writers’ Week. All four participants have started posting, and I'm looking forward to reading about their time at Appleton.